Our staff provides a wide range of surgical services for our patients from routine surgical procedures, such as spaying and neutering, to more complex surgeries. 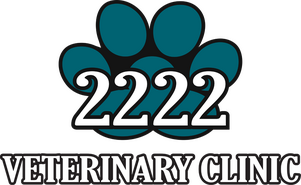 We will make every effort to ensure that your pet receives the very best care. We focus on patient safety, pain management, and employing the most current surgical practices in every procedure. Our staff of compassionate, caring professionals will monitor your pet before, during, and after surgery. We know that your pet's surgery is stressful for you as well, so we strive to call or text you as soon as your loved one is in recovery to help alleviate your anxiety. We will also address any questions or concerns you may have about surgery, including concerns about anesthesia, pain management, or postoperative care. We review postoperative care and medication instructions with you before your pet goes home. If any questions arise after your pet returns home or at any other time during the postoperative period, please don't hesitate to call us. We welcome your questions and will do all we can to help your pet recover fully. Help is only a phone call away.